Prominent & Leading Manufacturer from New Delhi, we offer 2 pole isolators switching device, 3 pole isolator switching device, 4 pole isolator switching device, single pole isolator switching device and isolators switching device. 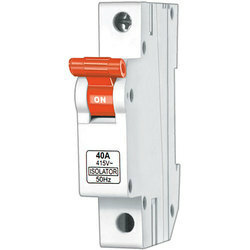 We are Offering 2 Pole Isolators Switching Device to our Clients. 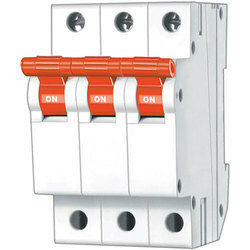 We are Offering 3 Pole Isolator Switching Device to our Clients. 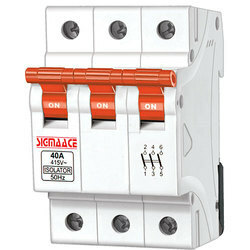 Rated Current 40 to 125 Amp. 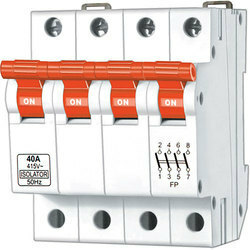 We are Offering 4 Pole Isolator Switching Device to our Clients. 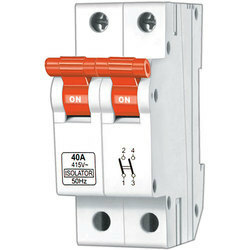 We are Offering Single Pole Isolator Switching Device to our Clients. We are Offering Isolators Switching Device to our Clients.